January 1st is a contradictory type of day. Having gratefully received the latest wearable fitness gadgetry, jogging gear and cycling accessories for Christmas we spend the first day of the new year suffering from the excesses of the previous night while repeatedly stuffing chocolates, biscuits and cakes into our face. Well, it would be wasteful not to, and once it’s gone we’ll start our new routine and, of course, our New Year’s resolutions. This year will be different; we’ll stick to our self-improvement dreams and become the better person we know is buried beneath all the Quality Street wrappers. 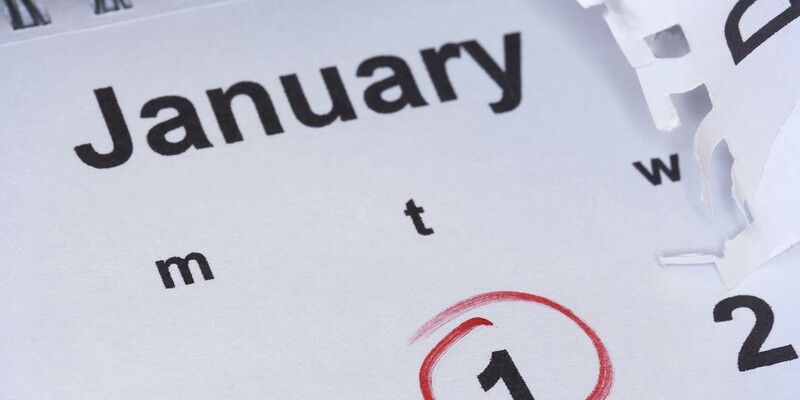 This post looks at how a behaviourist would approach New Year’s resolutions and what techniques could help you stick to yours. I got the idea when I found an old copy of ‘Self-Help without the Hype’ by Robert Epstein (1996) in my local second-hand bookstore. 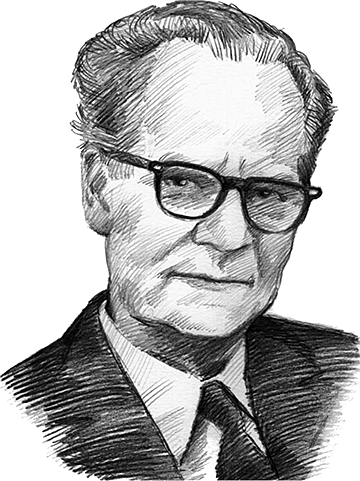 I’d been searching for a copy ever since reading Epstein’s paper describing how eminent behaviourist BF Skinner was a remarkably productive, creative and happy individual, in large part because of his expertise in self-management. Epstein readily admits that Skinner’s views on much of psychology have been overtaken through time, but the ‘extraordinary success Skinner had in applying self-management principles to his life should inspire us to take a closer look at the potential value such principles may have for our own’. In his book, Epstein presents three principles for promoting self-management and makes it clear that nothing about self-control relies on willpower. “First, self-management techniques have been empirically tested. They work. I am not relaying folk wisdom, common sense or my personal credo. I am conveying, in allegory form, a body of basic and applied research in the behavioural sciences. Having worked alongside BF Skinner for over five years, in his own home, Epstein got to see how self-management was not just an academic topic for Fred (his full name was Burrhus Frederic Skinner), it was a lifestyle where he managed his behaviour constantly. The following example shows how this attitude started young. A more common example of the same technique is when we stick a Post-It™ note to the back of the door in the evening, reminding us to take our lunch as we leave for work the next morning. Nothing about this relies on ‘willpower’; the power of behaviourist techniques come from the acceptance of personal mediocrity. This may sound harsh, but the first lesson to becoming a better self-manager is to know you’re not naturally a great self-manager. Once you acknowledge this universal truth, you’re better armed to design and adopt a system that aligns with how you act and behave. The three principles are easy to remember, as they all start with M.
The first principle is to stop looking within yourself and instead look around you to make changes. For example, if you want to stop eating so much sugar, move the sugar bowl away from the kettle (move it to the garage or upstairs). If you want to start jogging, move your trainers and jogging gear into your line of sight as soon as you wake up. If you want to eat more green vegetables, move them out of the hidden drawers at the bottom of the refrigerator and promote them to be at eye level (while you’re at it, move the fizzy drinks out and relegate them to the garage with the sugar). In a moment of strength, change your environment to make it harder to perform the behaviours you want to stop and easier to promote those you wish to adopt. Sometimes this principle is adopted as regulation for extreme cases, such as smoking. Tobacco smoking is a learned behaviour that results in a physical and psychological addiction to nicotine. Accordingly, stopping smoking is difficult, despite 65% of smokers acknowledging they want to quit (Cahill and Perera, 2009). So hard in fact that smokers fail to change their behaviour when faced with substantial price increases, which have little effect other than to make those suffering from addiction also suffer from poverty. Finally, the efforts of the British Lung Foundation changed UK law and resulted in three behavioural techniques being applied to the sale of nicotine. All tobacco products have to use drab, standardised packaging; the packets need to show prominent warnings of the effect of smoking as well as accompanying photos of tar-filled lungs, tongue cancer and children on inhalation machines; and finally, all tobacco is now hidden from view in stores. The effect of these behavioural interventions has been to significantly reduce smoking among UK adults and halve the number of children under 16 smoking — the lowest figure on record (The Independent, 2017). Returning to individual interventions, Epstein relays a dialogue between a nephew asking his uncle how he cultivates his creativity. The uncle in the story is quite plainly meant to be Skinner, and he shows how modifying his working environment helped his writing. In a time before the internet, moving physical tools to be close at hand was a wise behaviour technique. Now, having dictionaries and thesaurus tools readily available online means they’re closer to us than ever, but so also are digital distractions. A contemporary version of Epstein’s dialogue may instead focus on modifying the digital working environment to keep distractions out of sight. Email, messaging services such as Slack (and the internet in general) are so easy to access, we can all too easily find ourselves preoccupied by their constant distraction. So much so that research shows that having tools like Slack or Skype open is enough to cause a cognitive deterioration in attention, even without any messages coming through (read more here). In the book, Uncle Fred tells his nephew about the importance of taking breaks from work every hour. He calls this his ‘Hour Power’. I’ve adapted the principle to allow for a digital downtime when I’m working. I have a physical hourglass on my desk and during this time I have all digital services turned off. When my hour is up, I check my digital mailboxes for anything that needs my immediate attention. If I can answer something within a couple of minutes, I respond immediately and anything else I pin in my mailbox ( I use Spark as a mail client which is super for removing distractions). Between 08:30 and 09:00 and again at 14:00 to 14:30 I allow myself time to answer the more complex emails before again switching everything off and getting back to work (or going for a coffee). This works for me (mostly), but you should experiment with what works for you. In Epstein’s book, the nephew in the story challenges himself to stop the habit of biting his nails. Uncle Fred tells him to experiment with modifying his environment to help produce the change and importantly to keep a record a when it occurs. It turns out that this second instruction is the second secret to self-management. ‘Paying close attention to what you do changes what you do’ Uncle Fred explains. Self-monitoring has the effect of both focusing our attention on our challenge as well as keeping a record of our success. In an insightful passage in the book, Uncle Fred explains his approach to healthy eating. He goes on to explain how he modified his environment by sticking a photo of a younger and slimmer him on his refrigerator and moving his weighing scales from the bathroom and into the kitchen. He then monitored his behaviour by sticking a chart and marker to the kitchen wall to record his weight. The combination made him more aware of his weight and gradually helped him change his eating habits permanently without needing to resort to a temporary diet. Of course, the digital world now makes it easier than ever for us to record all manner of habits and routines. There are multitudes of tracking apps available, and the rise in wearable health technology means we can track many aspects of our lives with no effort at all. These digital aids are useful, but sometimes the easy way isn’t always the most effective way. Automatic tracking removes the cognitive effort from you and can put a distance between you and your primary objective. For instance, smart weighing scales are simple as they automatically upload your weight to their apps for tracking, but is this as effective as manually marking your weight on a poster that you walk past on the way to the fridge? A recent concern is the amount of time we spend staring at our smartphones. According to a 2018 Ofcom report, the average person in the UK spends more than a day a week online and checks their phone every 12 minutes*. In response, Apple baked a couple of new features into their iOS to help us self-manage our digital behaviour. Firstly, Screen Time provides a breakdown of the amount of time spent on each app — in other words; it monitors your digital behaviour. You can then commit to changing your behaviour by setting App Limits which blocks access to individual apps or entire categories of apps (e.g. social media) once you hit your limit. This act of committing ahead of time leads us nicely into the final self-management technique. *You may be interested in looking up ‘Skinner’s Box’ for a behaviourist’s explanation of why this habit of constantly checking our phone has emerged. Using the new App Limit feature from Apple is the digital equivalent of Odysseus deciding to tie himself to his ship’s mast before sailing past the sirens. Odysseus knew he’d become weak at the time of hearing the sirens deadly songs, so he made a commitment ahead of time to save him (you can read more about Odysseus in a previous post). We can now do the same by committing to a screen time quota before the automatic shutters come down to save us. This embodies the third secret to self-management; making commitments. Making a commitment to change your behaviour should be done when you’re in a cold and unemotional state of mind and should be done openly. Robert Epstein relays a personal way Skinner employed this technique to curb his own behaviour using a ceramic sculpture of a horse made by a close friend who died from cancer. Making the commitment openly, and using his family members as reinforcers, helped to motivate Uncle Fred to stick to his promise. You don’t always need to be so public though as once again digital innovations have popped up which can help. 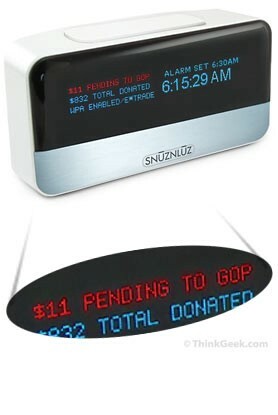 One example is the SNŪZNLŪZ alarm clock which automatically donates money to charity if you’re tempted to hit the snooze button. More accessible than a real clock, apps such as Wake or Donate, Snooze and iCuckoo all use the same idea of committing to getting out of bed by setting charitable donations for ignoring your alarm. Skinner himself was a technophile and was an advocate of using gadgets to help: “The point is to construct your world so that it makes you the kind of person you want to be. Gizmos can help.” While Skinner’s ‘gizmos’ were levers, pulleys, notes and buzzers, I believe he would be excited by the opportunity new smart devices offer us for self-management. BJ Fogg, Professor at Stanford University, has taken this idea forward with his ideas of persuasive technology and examples of how we can use computers to change what we think and do. Pick up a copy of his book ‘Persuasive Technology’ to read up more on this. So that is how a behaviourist, such as BF Skinner, would approach their New Year’s resolutions and stick to them. Remember, it’s important to find your own versions of applying the three general principles. If one method fails, try another, or try several at once. Finally, I’m going to share a small behavioural intervention which I suggested to a friend that encapsulates all three principles. My partner is a health coach, and a friend asked her for help getting back to a happy weight. One micro problem which arose was that she had trouble remembering to drink enough water each day. Identifying this as an opportunity for self-management, we applied the three principles. Looking at her kitchen, we saw she used a metal water dispenser to filter the water. We dug out an old set of Scrabble fridge magnets we happened to have in a drawer and suggested she stick five letters on the dispenser to represent the five glasses of water she wanted to drink each day. Each time she pours a glass, she takes a letter off. This modified her environment with a system which also monitored her behaviour. When she’s removed all five magnetic tiles, she knows she’s achieved her goal. The next day, she sticks all five back on and starts again. What about a commitment? Well, she made a commitment to her husband and us but went one better than that. As a Christian, she knew one person she would not want to disappoint, and so she chose the five magnets which spelt out JESUS. I’d heartily recommend you hunt out a copy of Robert Epstein’s ‘Self-help without the hype’. It’s warmly written, short and contains methods we can all use to improve our self-management.